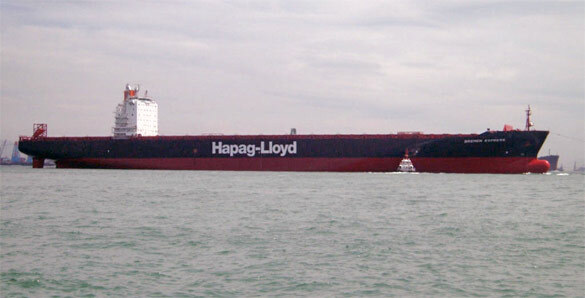 The conservation of the cargo bay tanktops on our container vessels is insufficient. These tanktops cannot be cleaned nor is a proper surface preparation as the cargo bay is in continual use and packed with containers. Appropriate maintenance work can only be carried out every 2.5 years within the interval of regular repair docking time. * Inflating sea water caused by leaky hatchway doors. * Leakage of freight caused by improperly packed containers. * Mechanical damage of surface paint caused by loading/unloading procedures. If the tanktops are insufficiently protected from corrosion, extensive steel repair work will become inevitable. The rust inhibitors used so far could not fulfil these requirements. Numerous rust protective products from various suppliers did not show the expected result. In September 2007 we applied Rust Bullet for the first time at the Seoul Express (ex. 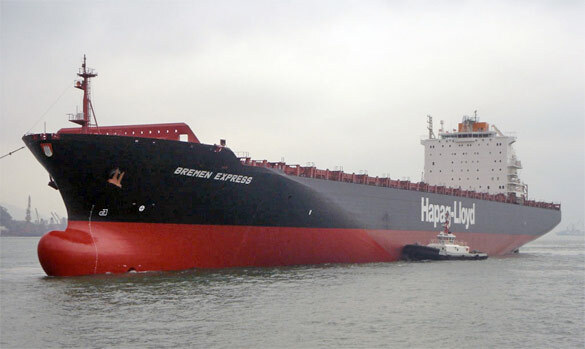 Bremen Express) after 7.5 years operation time of the vessel. Our purpose was the conservation of all cargo bay tanktops. After 5 months operation time still no corrosion could have been detected. Therefore we feel that Rust Bullet seals the surfaces affected by corrosion in an excellent way. We would like to continue to observe the treated surface portions for another 2.5 years to fully document the expected success of Rust Bullet for our application.